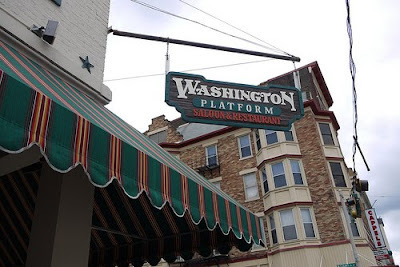 In addition to the Second on Sunday on Main festivities in Over-the-Rhine tomorrow, Washington Platform will be hosting a new monthly event featuring authentic Louisiana food and live Jazz music from the Mike Sharfe Trio. The new Second Sunday New Orleans Jazz & Food Festival at Washington Platform will run from 2pm to 5pm on Sunday, September 13. There is plenty of free on-street parking nearby. Washington Platform is also well-served by more than a dozen Queen City Metro routes within one block of the restaurant. To see which route is most convenient for you, and to plan your trip now, use Metro’s Trip Planner. Photo from Rrrrrd’s photostream on Flickr.